In May, World Vision advocates spoke out against the U.S. Government’s policy of separating and detaining migrant children apart from their families. Along with other Christian organizations and individuals who expressed their concern across the country, more than 2,000 calls and emails from World Vision advocates helped encourage the Administration to end the practice. Indeed, on June 20, the Administration passed an executive order reversing its policy of separating children from their parents at the border. While significant progress has been made, nearly 500 children remain in custody waiting to be reunited with family members. Recently, the U.S. Government has declared a new plan for immigration reform. This time, the Department of Homeland Security and Health and Human Services are seeking to revise a decades-old court agreement that provides important protections for children in detention facilities. But first, some background: In 1985, Jenny Flores, a 15-year-old girl from El Salvador fled her country and tried to enter the United States to be with her aunt. She was arrested at the border and placed in a juvenile detention center, where she was treated harshly. When the U.S. decided not to grant her aunt custody, a lawsuit was filed, which eventually led to the Flores agreement. The Flores Settlement Agreement (FSA) ensures that all immigrant minors in U.S. custody are released without delay. If they’re unable to be released, they must be held in the least-restrictive settings. The new proposed rule would allow for the long-term detention of families waiting for asylum claim processing past the 20-day limit outlined in the Flores Agreement. This could have serious implications for the physical, mental, and emotional health of children. Both family separation and detention — unaccompanied or as a family — have proven toxic for children’s overall development and long-term well-being. The long-lasting damage to a child’s well-being starts almost immediately and increases with the duration of the separation or detention. As a Christian organization dedicated to the well-being of children, we believe God calls us to speak up on behalf of the vulnerable, the marginalized, and the powerless. 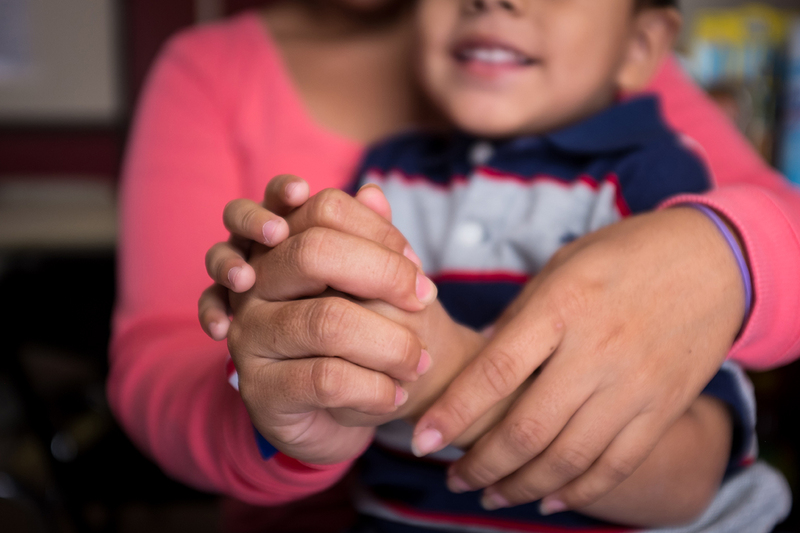 While the U.S. must address concerns related to our immigration system, we hope that these reforms will keep families together and provide community-based alternatives to detention that support family unity and allow children to thrive in the least-restrictive settings. At all times, children should have access to adequate food, shelter, healthcare, rest, educational, social and recreational activities, daily contact with family members, and professional psychosocial and legal services. Because World Vision works in hundreds of communities in Latin America, we know the violence and sense of hopelessness that is driving families to leave their homes. That is why we also recommend that Congress take appropriate measures to address the root causes of violence that force many children to flee their homes and communities. The countries of the Northern Triangle—El Salvador, Guatemala, and Honduras—continue to be plagued by endemic levels of crime and violence that have made many communities extremely dangerous, especially for children. Globally, 50 million children are on the move today due to conflict and violence in their home countries. The U.S. must take appropriate action to protect children within its borders and beyond.